Check out watkinsgallery.com. 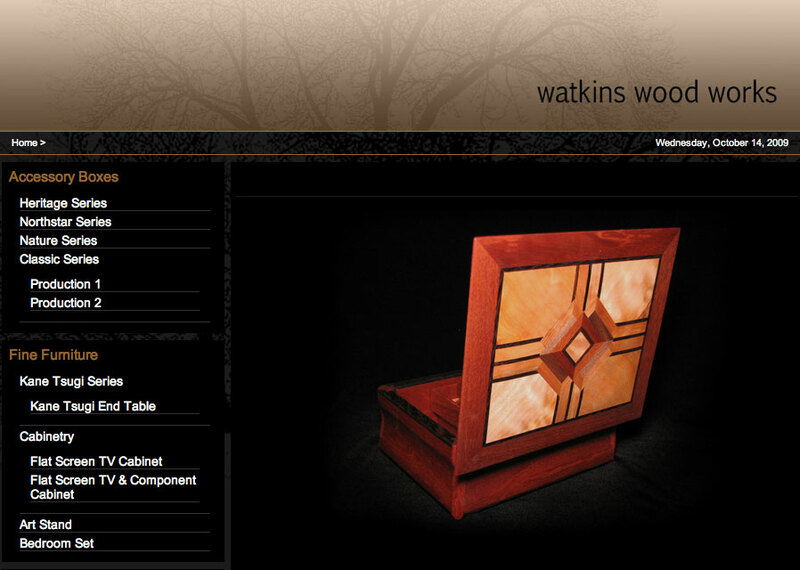 Matt Watkins is a master woodworker and the quality and creativity of his work certainly speaks for itself. As far as the site goes, we loved the design, and also how they plugged in resources from flickr to show how you can really get RealCove to work around your business needs.